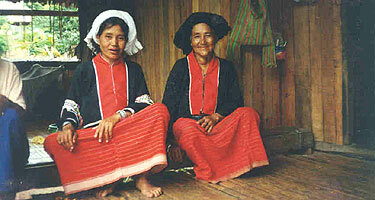 Click here for Hilltribe Tours - hilltribe itineraries without the hiking. Two day trek - Overnight in a Palong village after a moderate 3hr hike. Elephant riding and rafting included. Two day trek - Overnight homestay in colourful Lisu village. 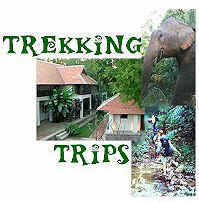 Elephant riding and rafting on first day and moderate hike on second day. Three day trek - Overnight in Karen & Palong villages. Moderate hiking on all three days. Elephant riding and rafting included. Three day trek - Overnight in Karen & Palong villages. Moderate hiking on all three days. Elephant riding and rafting included. Includes a visit to "long neck" Padong village. 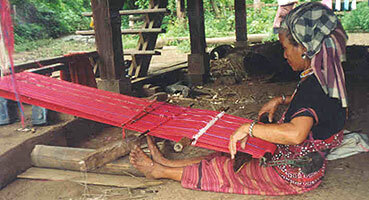 Discover the hilltribes to the North of Chiang Mai, on this trek, which requires minimal walking. 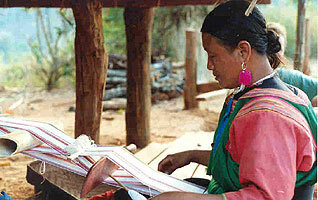 A perfect chance to see a wide range of hilltribes without having to walk long distances. Elephant riding and bamboo rafting before you arrive at the hilltribe villages. Highlights - visiting the different hilltribes as well as elephant riding & rafting. Minimal walking , very easy. Our popular 3 day trek into the hills of Chiang Dao to visit the Palong and Karen tribes. A good trek of moderate difficulty with many trail options for harder and easier hikes. 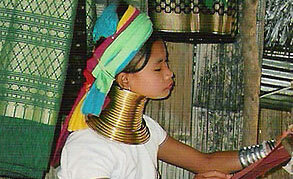 This itinerary includes a visit to the Padong "long neck" tribe village near Chiang Dao.